ISS Downlink with Alexander Gerst! The NASA WVSGC collaborated with the Langley region (Kentucky, North Carolina, South Carolina, Virginia) to have a joint ISS Downlink with the International Space Station. The live feed, held at Virginia Air and Space Center, was watched across the region. Youth from all 5 states submitted questions to be asked during the downlink to astronaut Alexander Gerst of the European Space Agency. 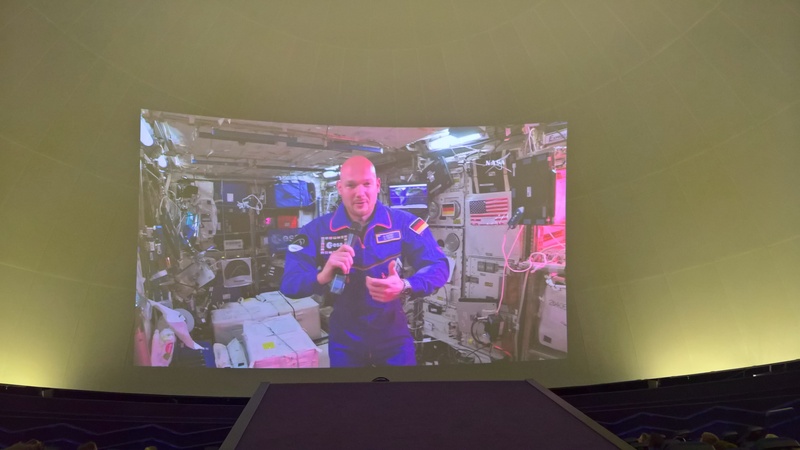 In West Virginia, the downlink was watched at the Clay Center for the Arts & Sciences in Charleston, WV inside their caperton digital dome. 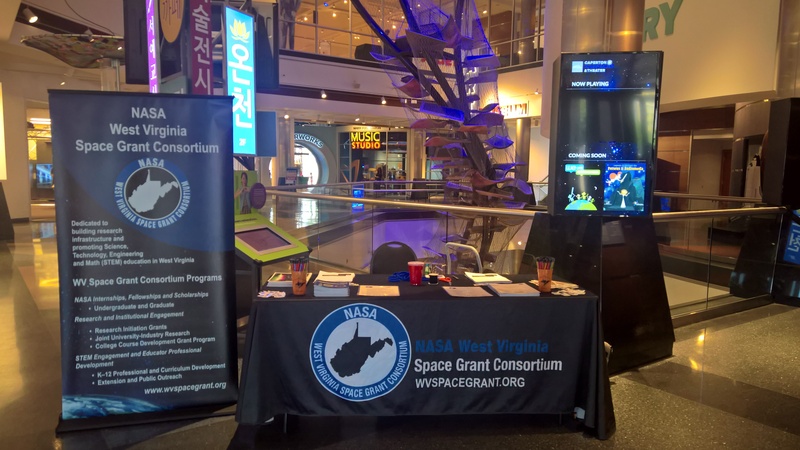 Participants were able to speak to a NASA WVSGC representative beforehand, learning about the ISS and opportunities available to youth through space grant. ← WVU Experimental Rocketry finishes 2nd at 2018 Spaceport America Cup!